Limo Anywhere offers an industry-leading, cloud-based reservation, dispatch, and account management software solution for small and medium-sized operators, in addition to state of the art website templates, online booking tools, passenger and driver mobile apps, and integrations with many of the largest demand generators in the industry. Cab Hound TM is a powerful smartphone based dispatching and payment system. 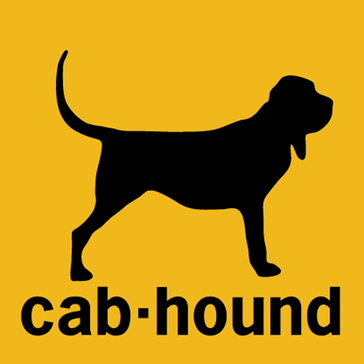 Cab Hound TM enables passengers to find, track, coordinate and pay for trips with the best available drivers and allows drivers to promote themselves, accept credit cards and utilize our time saving tools like GPS navigation. 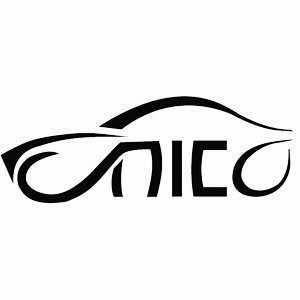 Unicotaxi is a versatile and cost taxi solution with taxi dispatch system, that bridges the gap between taxi companies and the discerning customers. 13CABS is dedicated to providing Taxi Owners, Taxi Operators, and Fleet Operators with information to help guide them to run their business effectively and efficiently. We also assist potential Taxi Owners through the process of obtaining a taxi licence, buying a vehicle, and insurance cover. Cabookie is a taxi booking website makes it easy to get a quote instantly rather than fill the booking form and wait for someone to respond to it. Cabstartup is enterprise app company, offers end to end mobile app solution to taxi and on demand services companies. Cab treasure enables you to utilize text messaging as a tool to communicate with your customers by keeping them informed and sending them reassuring information about their driver and vehicle. cPAQ is a taxi and private hire data dispatch system designed to provide you with an automatic means of transferring the customers request from the operator to the appropriate vehicle. CroplaTaxi is a taxi dispatch software to manage your taxi business. Dashride is a mobile-first dispatching software for transportation companies. Eber offers Uber type apps for on demand taxi booking services. EZTransport is a transportation management software solution that offers magnetic swipe or Smart Cards, cashless cardless payment system, hardware solutions, and credit and debit cards. You may have seen other taxi dispatch systems before, but none of them are quite like Gazoop's premium fleet dispatch software. Infinite cab is a taxi management software that incorporates all state-of-art technologies of transportation that are available till now, it deliver better and reliable customer services right from booking the cab to billing and managing payments on the go. KARL is a mobile app and a fully automated booking, dispatching, and global networking platform. Limo n' Taxi is a cloud-based tracking and dispatching system that allows you to manage CRM, order entry, attendance, messaging and more to help the productivity of your business. Limosys Software is the leading provider of on-demand software management solutions for the limousine and ground transportation industry. Limosys Software combines unparalleled service, training, and support with its easy-to-use software. Limosys Software helps your business move. Logistrics Taxi is a full featured application that works on your Android smartphone/tablet device and can allow you to run a taxi business from your phone. Rvakva Taxi is a transportation dispatch software that automates back-end operations and user communications for taxi businesses with the online system and mobile apps for riders and drivers. Samsride is the industry leading software provider for on demand services. Samsride platform can be used to create on-demand apps such as taxi App, limo App, rideshare booking, kids shuttle, dispatch, delivery, plumbing, message service & more. Sengerio is the complete software system for the collaborative management and business development for bus charter and limo companies, drivers, travel agencies, event planners and corporations. Sengerio allows any transport company to speed up each activity as booking, scheduling, managing vehicles and drivers, invoicing, communication, customer service and reports are all integrated. Sherlock Taxi solution is an advanced taxi dispatch system which is proven to drive efficiency, productivity and ultimately growth to businesses by automating dispatch, offering cutting-edge booking apps and improving customer service. Smart Car is an innovative vehicle rental management software designed for modern car rentals. Smart Car is driverless-ready which means it seamlessly integrates with driverless vehicles OS, and every company including Fiat, Mercedes, Toyota, GM, Tesla, Ford, and more is launching a driverless car. SpotnRides is a ready-to-use taxi app script that will allow you to start an Uber-like cab renting service with immediate effect. Automatic booking and dispatching system for taxis; seeks a suitable vehicle for each booking in real time. Taxihertz is an online taxi dispatch software and system to automate cab dispatch system. Intelligent taxi/cab management and dispatch software that can be conducted through mobile devices. Taxi pulse is a cloud-based reliable taxi dispatch software for taxi services available worldwide. The complete solution includes caller id, driver management, real-time tracking and many other cab booking software features. It is the ideal dispatch system for those taxi and minicab companies who are looking for an automated internet-based dispatch system with smart mobility. T Dispatch is a global dispatch software solution for taxi, limo and delivery services. Built in the cloud, its the ideal fleet management tool for transportation and smart mobility. TranWare is a taxi fleet software. Uberclonez is the ultimate Uber Clone Taxi App. It comes with different user logins for Customer, Driver, and Administrator with all the features that is expected from a Taxi app. ULS+ is a fleet management solution including: vehicle management, e-reservations, invoicing, and dispatching. YelowTaxi is an on-demand taxi solution. Hi there! Can I help you find the best Taxi & Limousine solutions?